The boys are back again! Try as you must but you know you can’t deny your love for Trophy Whores. Join Alex, Donny, TitanicWang and TrickyMic as they discuss whats coming in PlayStation Plus in May, PlayStation All-Stars Battle Royal, and the conspiracy of Metal Gear Solid 3. 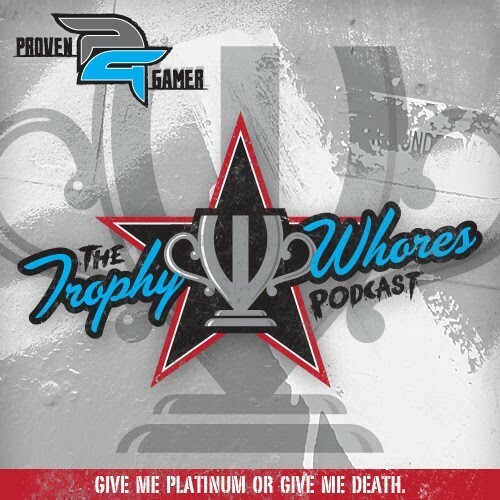 Please make sure to subscribe to the Trophy Whores feed in iTunes or RSS and please leave a review. ProvenGamer's Official PlayStation Podcast. From Trophy Strategies, New & Upcoming Games, Rumors And More, The Guys Cover And Talk About Anything And Everything Sony Related.